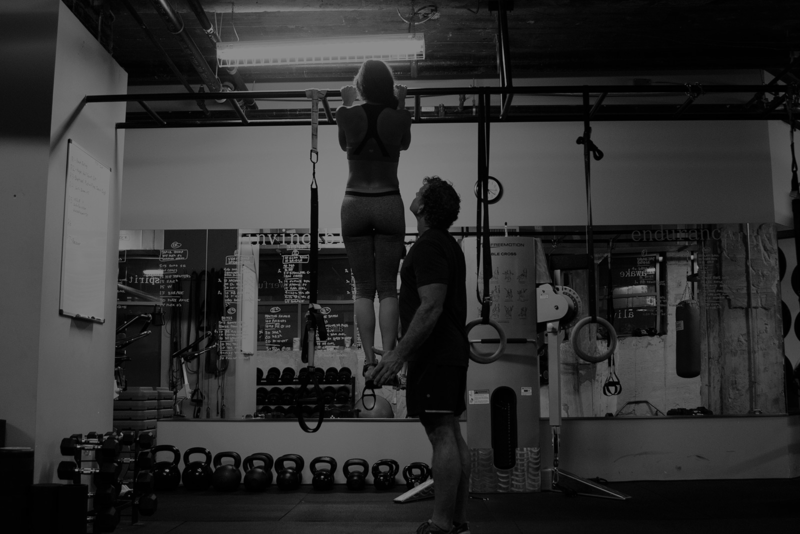 TRX Supsension Training, CrossFit, Kettlebell, and More! What I offer is a degree of accountability and workouts designed to be fun, challenging and effective at producing results. I educate my clients and explain to them the reasons why I have them do certain exercises. My programs all have a purpose and are done to achieve a goal. There are corrective exercises which may not burn fat or add muscle to your biceps but they will allow you to stand up straighter, help the knees track better or reduce low back pain by stretching and lengthening the hip flexors. Maybe your assessment indicated some shoulder issues that rotator cuff strengthening exercises would help prevent a future surgery. Coming to the gym doesn’t alway have to be about seeing how many calories your FitBit says you burned or setting a new max deadlift. Coming to the gym should be about making you better. For some people, that means stronger. Faster for others. Some want to be flexible as a flamingo. Whatever your goals are, your time at the gym should be designed toward reaching them. Body weight training should be a huge staple in any well rounded routine. Some of its biggest advantages are safety and total body recruitment. When you do a pushup correctly, your entire body is tense which means that your core, quads shoulders and obviously triceps are tense. Think about a plank, which is really just the top position in a push-up. Your gluten should be completely contracted, your legs tight and tense and your upper and lower body both pulling toward the center of your body. The kettlebell helps build flexibility, which is imperative for speed and resilience. Total Body Conditioning: Regular, vigorous kettle bell training builds both mental and physical toughness, boosts energy and allows you to handle high stress with relative ease. The bench press, squat and deadlift. Three total body exercises that make you stronger by reinforcing basic movement patterns. Becoming proficient in these movements will allow you to perform functional and conditioning movements more efficiently. CrossFit has taken the fitness community by storm within the past decade. Many hate it or criticize it for a variety of reasons. Do people get injured? Yes, they unfortunately do but the science behind CrossFit has done a ton to improve our understanding of what drives results.